He's got a point though. 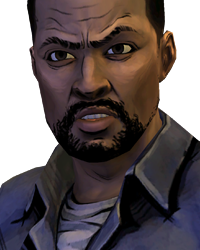 This whole game is about Lee and Clem (well s1, s2 only about Clem), killing Clem now would leave the game pointless don't you think? Yes you're right about that. What if the person who Clem thought was dead is someone who depends on our choices? Now that's something I'd like to see. Thing is, nothing happened to Lilly to even bring her close to death. Clementine only saw her run with the RV and never return, this doesn't really correlate with what Clem said. Yeah... that was found out by the community a while ago... my guess is that you don't visit the forums quite often isn't it?